2,128 miles (3,425 km) Thats the distance ive cycled from 30th May-18th July on my cycling trip around the Netherlands and Germany. I’ve met some amazing people , who I will never forget, had kindness bestowed on me on a number of occasions, events have taken me to wonderful places where I did not plan on going. I’ve cried tears, tears of laughter, tears of pain and heartache, tears of satisfaction. Never in my lifetime did I expect that a cycle trip would leave me feeling as emotionally drained as I’ve been these past few days. 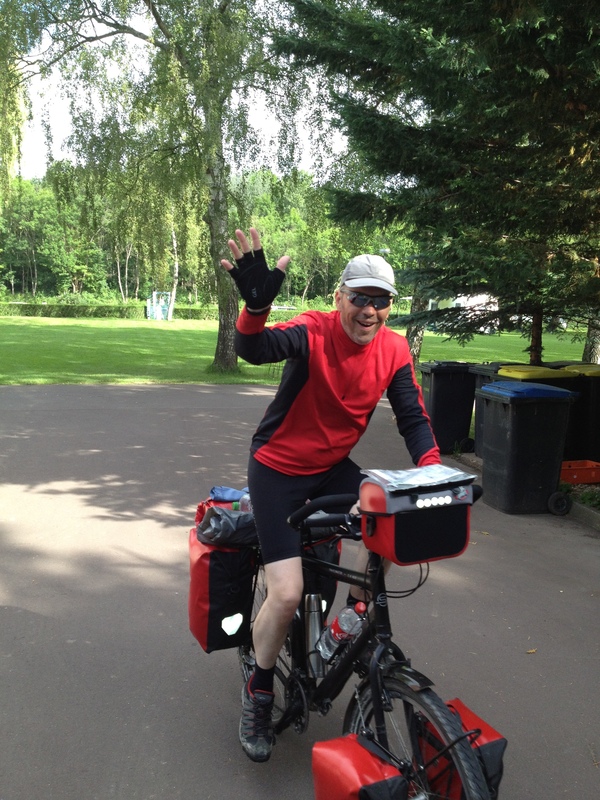 It all started on May 30th when I boarded the ferry from North shields near Newcastle upon Tyne to Ijmuiden.I took it nice and steady for the first few days , averaging 40 -65 km per day. The weather was good, I crossed the amazing Afsluitdijk (sea Road) which goes 30 km across from Den Oever to near Harlingen. 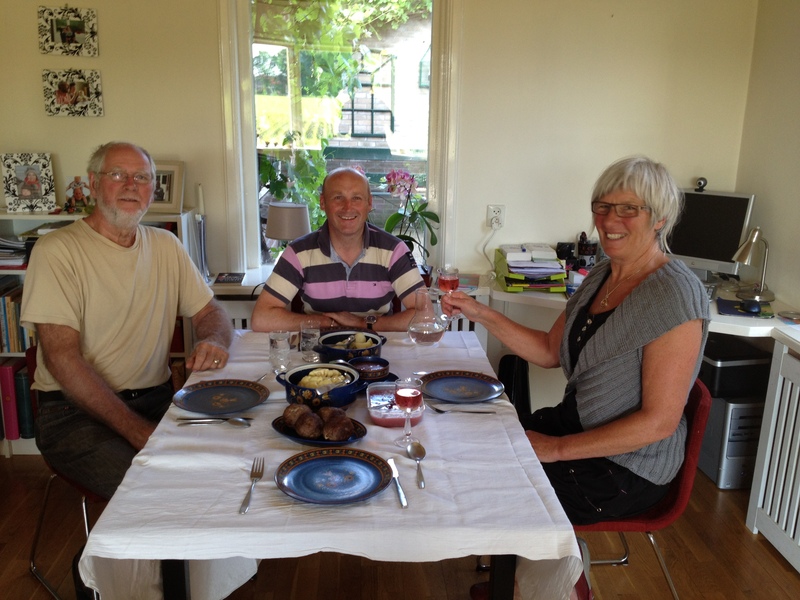 It was at Harlingen that I met Tony and Toos two Dutch cyclists who were camped near to me. We started talking and little did I realise then the amazing part they would play in this adventure. About a week later I was a guest at Tonys In Vorden and such a wonderful person she is, one of my road angels. Not long after I was a guest of Astrid a caring person who showed me around Utrecht and tried to help me find sleeping accommodation on two other occasions. 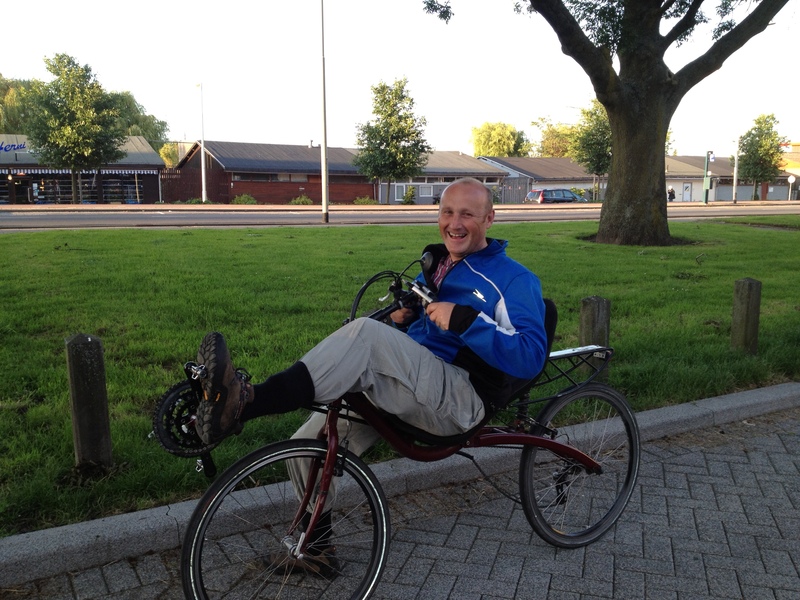 Then In Rotterdam, I spent an evening with Robert and Emmy two cyclists of great experience and the very different recumbent bikes that they ride. 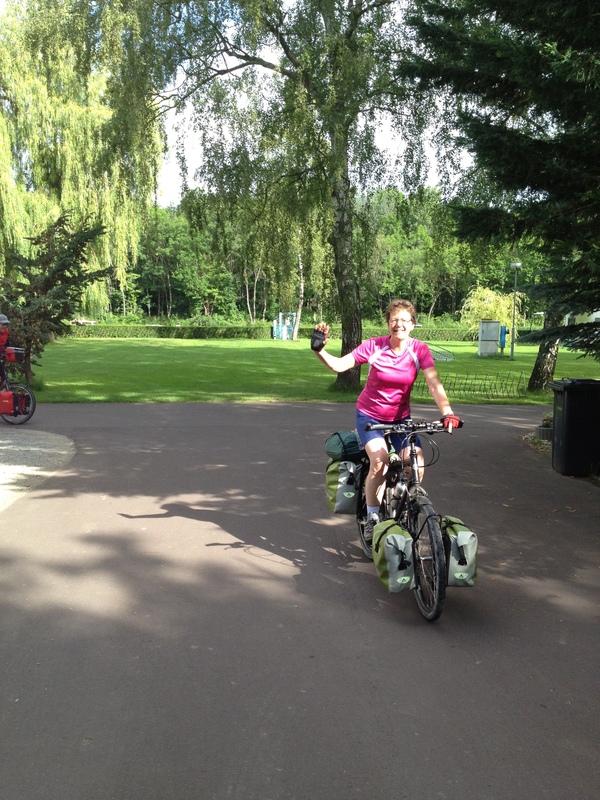 Robert and Emmy really made me feel welcome,allowing me to try their bikes, as we cycled around the lake in Rotterdam, Robert also displaying his amazing talent for playing the didgeridoo. Then I met Anton and Jenny. These wonderful two people who I cycled with for 5/6 days saying goodbye on three separate occasions but like a magnet I was drawn back to them later in the day. They were special people for me, and a joy to spend time with. Soon after we teamed up with Henk and Lotty who made me laugh on several occasions, I really enjoyed our end of the day beer and snacks. With a touch of sadness, but excitement I left the R1 cycle route along with Anton ,Jenny, Henk and Lotty and again on my own headed up the river Saale. How could I leave out Wolfgang and Silke who adopted me for the night when the campsite was closed and I was struggling to find somewhere to stay, They allowed a total stranger into their home , fed me, gave me a room , beer, and the warmth of their kindness will stay with me forever. The highlight of the trip for me and the most emotional day was the day I reached the very source of the river Saale high in the wooded hills above the small town of Zell in Germany . I spent half an hour alone in the forest with a small spring trickling out of a hole in the ground which then begins its journey for hundreds of miles downstream, the feeling was truly amazing. Only the day previous I had some personal news which really upset me,so with a sense of satisfaction, a sense of great achievement , a sense of sadness along with a multitude of other emotions I sat and had myself a few tears, alone in the forest. From the river Saale it was onto the river Main for another 8 days of adventure. the two events which will stay with me are the night I wild camped on the riverbank, woke early, packed up, then spent 30 mins sheltering under a tree while the mother of all storms was going on all around me. Lightning, thunder, torrential rain, one flash of lightning directly above me and hitting a tree very close, causing me to dive to the ground and say “f Me” with fright. 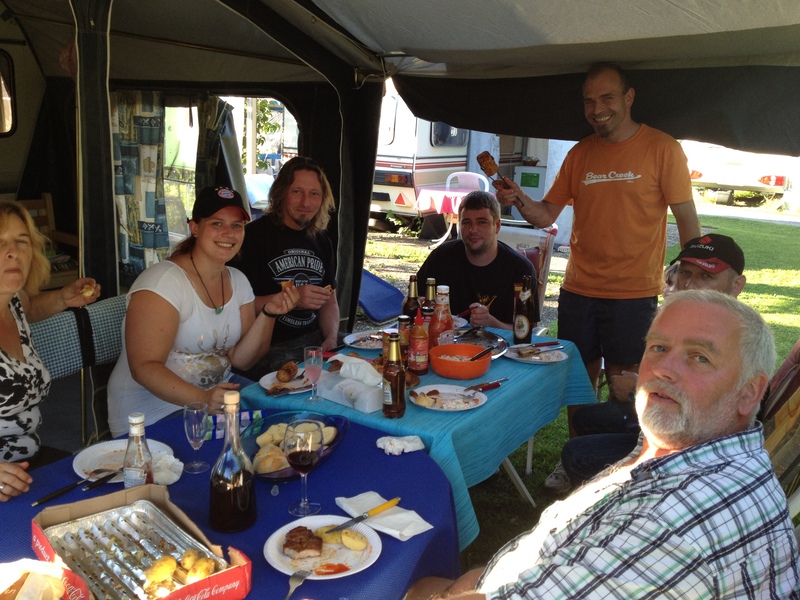 The other event which will always be with me is the crazy and wonderful people of the campsite at Zellingen. Ralph , Nico , two great German motorcyclists I met, Frank and the Sauna he built, the wonderful Nina, Footsy, and all of the great folk of the site who allowed me to spend three days with them , including a Birthday party, BBQ, which went on till 5am ! and the day at the swimming pool. The rest allowed me to recharge my body, mind and spirit and cycle on. From the river Main where it flows into the Rhine I cycled on Following the Rhine to Dusseldorf and the day I put my biggest effort in to cycle 207 Km (128 miles)including part of it in the middle of the night! to towards Venlo on the Dutch German Border. Then another amazing event happened , I had not blogged for a few days and my phone went with an email from Tony to see if I was ok, I explained where I was and minutes later I had an email from Toos the charming friend of Tony who only lived a few Kms away in the town of Horst. 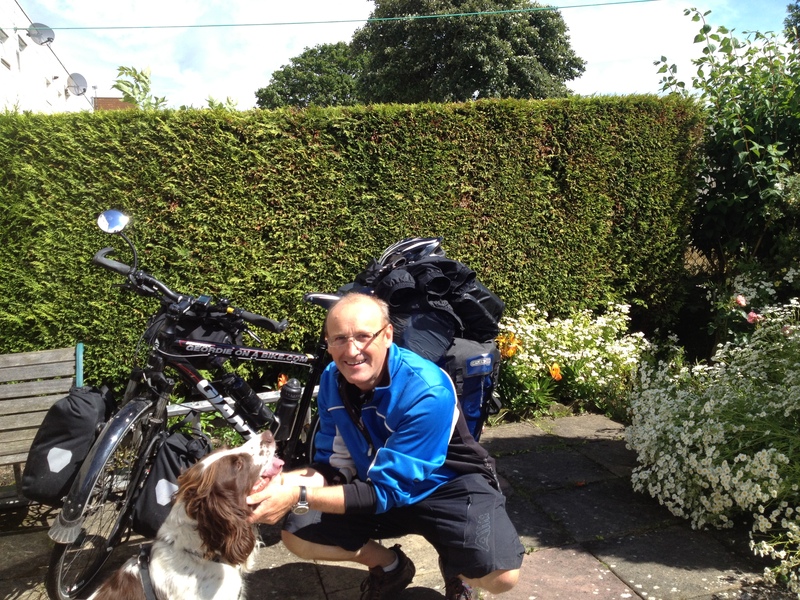 I was offered a bed for two nights , shown fantastic hospitality and genuine friendship from a very caring special lady. Onwards I went towards Amsterdam in some shocking weather and spent my last night in a warm dry Stay Ok Hostel before heading to the ferry and the overnight crossing back home. To me its pretty obvious that this trip has been made special by the warmth, kindness, and fantastic personalities of the people I have been Lucky enough to meet while on this crazy wonderful adventure.People who I will keep in contact with, people whom I shall never forget, people who restore your faith in a world full seeemigly, of bad news, but scratch below the surface and you will find the true diamonds of this world. Regarding equipment everything worked fantastic, I would make some changes but not many. I’ve experienced some brilliant sunshine, some nice weather and some shocking weather but it all added to this crazy adventure. I’ve had hedgehogs in my tent, being surrounded by rats, nearly had three bad accidents , had an old lady try to push me off my bike because I rang my bell to tell her I was approaching, and she took offence at this and tried to push me off!! I’ve had two months of my life experiencing every emotion possible and have made it to the end. Today Ive had “George” out for a spin upto Rothbury in Northumberland, a trip of 80 km and it felt great to spin the pedals again, get my legs working in the glorious sunshine. It did feel strange riding the bike without it being fully loaded and looking like a Christmas tree with everything hanging off it. !, also I am determined to stay fit, and improve my lifestyle. Finally, I want to thank a very special person for setting me free to follow this dream. A person I shall love for the rest of my life, a person who I have nothing but respect for, and wish her every happiness, because she truly deserves it. I’ve now come to the end of this blog and my future life and plans? I know how I would like it to turn out, but if it does !! 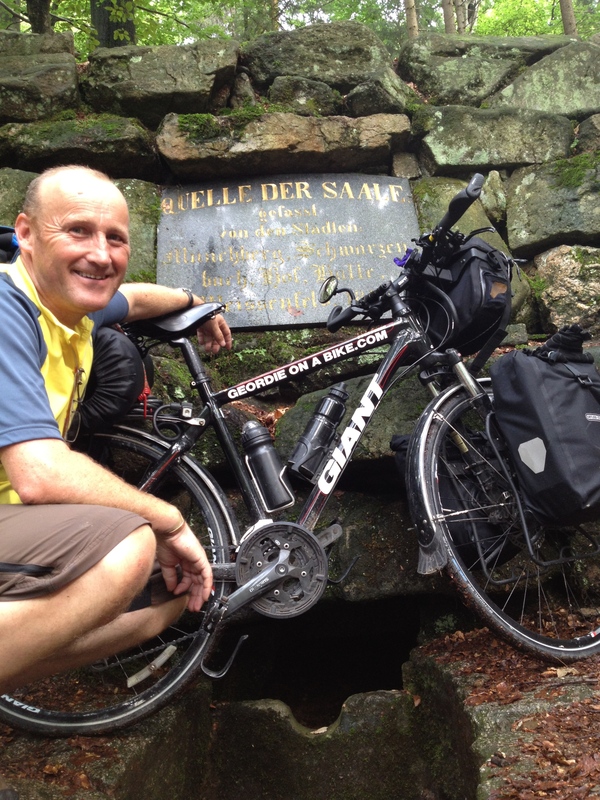 This entry was posted in Uncategorized by Geordieonabike. Bookmark the permalink.